Android is one of the top mobile operating systems, offering users plenty of useful features and tons of cool apps and games to choose from. However, where iOS users have long been able to use Cydia and, more recently, third-party installers to get modified apps and games, until now Android users have not had this kind of access. Now they have with a third-party installer called AC Market, offering you a choice of thousands of apps, many of them modified. For most people who use ACMarket, there haven’t been any issues, but there are a few reports coming in of one error in particular – a package parsing error. This all sounds very technical and troublesome, but there are a couple of ways to fix the error. Now look at the name – if the file was originally called “app.apk” and you gave it a new name, for example, this could also cause the issue. If you have a little coding knowledge, you could also look into the app code to see if there are any obvious errors. 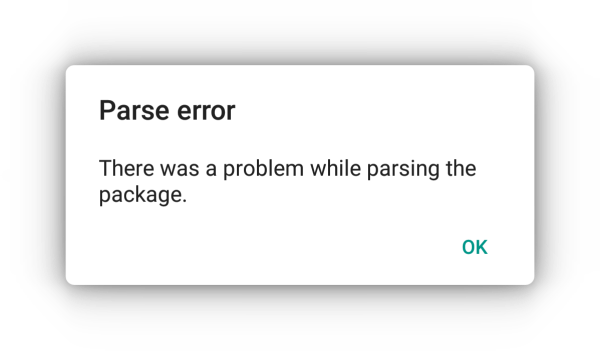 Sometimes, a parsing error is caused by a corruption in the APK file. The easiest way to get around this is to remove all traces of the file from your device and download it again, ensuring that the APK is complete. The best way to do that is to follow our download guide and use the APK file we provide for you. This file has been thoroughly checked to ensure it works as it should. Follow all these methods; one will work for you, and none of them take long to implement. Don’t forget to let us know how you get on and follow us on Facebook for more tips and tricks like this.